Happy Saturday, everyone! ♥ What will you bring on your weekend picnic? Send us your recipes for a chance to be featured in our guide! I can't believe my picture made the mood board. So flattered!! 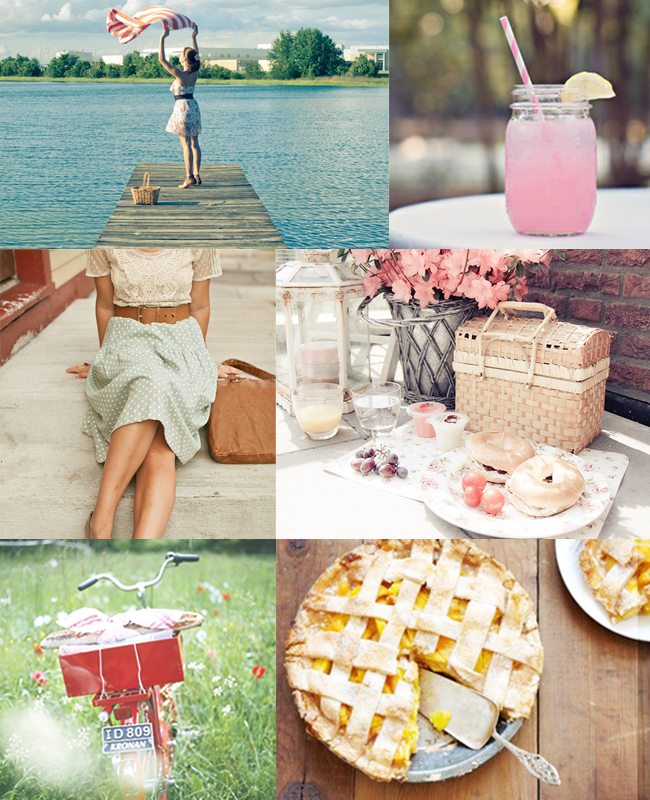 These photos make me want to go for a picnic. Unfortunately there's snow where I am! Ahhh! Too perfect. I'm definitely in the mood for a picnic! really sweet photos! we likey a lot! Haha, @Amanda same here :( :( :( I feel like I've been dreaming of summer for way too long. I really like the skirt and the lace top, beautiful photo collage overall. I will now be planning a picnic! This is TOOOO cute. Love it.